Who were the all but forgotten Gnostics, how were they rediscovered, and why are they important? Today we see celebrities fascinated with learning the Kabbalah, the wisdom of Jewish mystical tradition that has survived from ancient times. Far fewer people know that there was a related Christian mystical tradition called Gnosticism, a tradition once so powerful that a visionary Gnostic seer named Valentinus narrowly missed becoming the pope in the second century. In fact, Gnosticism was one of the two original major branches of the Christian religion from its founding until the third century AD. From that point on, the Gnostics fell into gradual decline to the point of near extinction. But who were these people whose visions presented a startling perspective on early Christianity, the nature of the Christ, the role of women in the creation, and the quest to realize the divine in our lives? In the rise and fall and resurrection of Gnosticism lies fascinating clues to the mysteries of our existence. The First Souls is a saga of people struggling to recover the realm of wholeness from which we originated. This path to the divine was described by Gnostic and other mystic sages over two thousand years ago. Many gave their lives to bring this knowledge to humanity, including Jesus of Nazareth. Gnostics were among the very first—if not the first—Christians yet they pre-dated Christianity. Varieties of Gnosticism can be found in ancient Egypt, Persia, the Greco-Roman mystery schools, and in Judaism and Islam. Gnosticism was less a religion than it was an approach to life and spirit. It acknowledged an underlying wholeness in the creation. It recognized that human beings are engaged in a universal struggle to unify their spiritually and psychologically fragmented parts with this wholeness. Many nuances of belief existed in groups labeled Gnostic, but common core convictions existed. The best way to delineate the Gnostic tradition is to describe their central beliefs. What secrets did the Gnostics Know? Gnosis (pronounced know-sis) means knowledge or to know from the Greek gnosein. The Gnostics were described as knowers claiming to be in possession of a hidden knowledge. So what did they know? They knew that a human being is a composite creature with a physically-based personality existing in space and time and a spirit that exists beyond space/time. They knew that the (internal) spirit was eternal and whole while the (external) body and personality (ego) were temporary conditions. They knew that the gulf between these two forces—the confusion, the sense of separation and the feeling of ultimately being alone—was the source of human fragmentation and suffering. Gnostics knew that the universal suffering of each human being cannot be resolved by church, state, family, or relationships, for these are things external to us. They are subject to the influence of the ego, the part of us that believes it is the true self. It’s giving our energy to this ego force that actually causes the suffering in the first place. Finally, the Gnostics knew that spirit is not an abstract idea or a silent voice. It is a constant communicator providing guidance and comfort through dreams, symbols, synchronicities, visions, altered awareness, and other phenomena we can experience. Unlike common prayer done from the egoic state (please give me this and I’ll be good), in an aware state you get answers. The trick is attuning to the proper frequency like finding the right radio station. This is done through a combination of strong desire, meditation, and cultivating heart-centered feelings of love and good will. So, the knowledge Gnostics spoke of was not theoretical or intellectual knowledge held in the mind, but knowledge derived from experience, subjective experience gained in internal meditative states. Because this experience connects us with the whole, it taps into universal archetypes from what Jung called the collective unconscious. Therefore, information is available to all of us from a transcendent level. The irony is that all this subjective activity leads to true objectivity because it taps into the ground source of our ultimate reality, the source of our thoughts and our feelings, in an undiluted, undistorted form. Gnostics believed that salvation came from a direct internal experience of the divine, a personal contact with the God force that yielded observable results in the material world in the form of altered consciousness, healings, prophecy, spiritual revelations, and what we today call psychic phenomena. After such a revelatory experience, a person passed beyond faith to knowledge. From that experience a person is saved from the illusions of the world because they have glimpsed the underlying reality of the unseen forces. Gnostics did not believe, as did their orthodox counterparts, that God created spiritual beings out of nothing (ex nihilo). Gnostics believed in emanation. Emanation is the belief that God projected His/Her substance outward like concentric circles to form spirit, soul, and other divine forces. This is an important distinction, for it means that spirit and the human soul contain the substance of God in the same way that holograms are localized representations of larger realities containing information possessed by the whole. A corollary belief among Gnostics was that spirit, via the human soul, has fallen from a higher state and is trapped in the material dimension. It will remain so (most likely via reincarnation) until awakened by the acquisition of esoteric knowledge gained from the guarded teachings of divinely inspired beings like Jesus of Nazareth. The first step in that esoteric knowledge is to realize the divine essence inside us by a direct, subjective experience, an awakening or epiphany of the God within. But what is it that keeps spirit trapped in the earth plane? Many Gnostics believed that the material world was the creation of inferior cosmic forces. In fact, some believed that the jealous, bloodthirsty creator god of the Old Testament was an inferior god who came into being through an “accident,” and proceeded to create the flawed cosmos in his ignorance of the true, loving, transcendent God above him. This lower god and his angels were identified as representing the forces that retarded human potential. Their influence inhibited our ability to awaken to an enlightened state of recognizing our origin and destiny, which is oneness with the True God of all things. The particular stream of Gnosticism that held this view of the biblical god and of the inherently evil nature of matter was not universal and could be the topic of a whole other discourse. The common element for Gnosticism, however, was that transpersonal forces, which were defined in differing ways, operate through human beings to keep us separated from our divine inner nature. Because of this separation we do not see reality for what it is, but rather we live in a world of illusion, of false perceptions perpetuated by the retardant forces operating through our egos. The Secret Knowledge of the Christ? Salvation for the Gnostics came from spiritual knowledge rather than blind faith. Gnostics spoke of possessing a hidden knowledge concerning creation, salvation, and resurrection. This knowledge was a secret oral teaching handed down from Jesus to the apostles. To gain this hidden wisdom one first had to receive the public teachings of Jesus, which would probably have approximated the typical orthodox understanding of churchgoers today. The public or orthodox Church was open to anyone who followed the public faith and rituals that had evolved in the increasingly male, hierarchical outer Church. How valid was the Gnostic claim of possessing the secret teachings of Jesus? Let’s look at statements from the revered early orthodox Church Fathers and from the canonical gospels themselves then you be the judge. “As for Mark, then, during Peter’s stay in Rome he wrote an account of the Lord’s doings, not, however, declaring all of them, nor yet hinting at the secret ones, but selecting what he thought most useful for increasing the faith of those who were being instructed. But when Peter died a martyr, Mark came over to Alexandria, bringing both his own notes and those of Peter, from which he transferred to his former book the things suitable to whatever makes for progress toward knowledge. Thus he composed a more spiritual Gospel for the use of those who were being perfected. Nevertheless, he yet did not divulge the things not to be uttered, nor did he write down the hierophantic teaching of the Lord, but to the stories already written he added yet others and, moreover, brought in certain sayings of which he knew the interpretation would, as a mystagogue, lead the hearers into the innermost sanctuary of that truth hidden by seven veils.” Though a few have disputed the authenticity of this letter, it has never been disproved. In other writings Clement said, “And the gnosis itself is that which has descended by transmission to a few, having been imparted unwritten by the apostles.” (Stromata, Book VI, Chap. VII). How is Gnosticism part of a great chain of spiritual wisdom? Gnostic beliefs about Genesis, the nature of matter, and the soul are found directly in Jewish, Egyptian, Syrian, Persian, Greek and other mystical traditions predating Christianity. The belief that God emanated all existence through intermediary forces and the idea that the world is an illusion causing suffering owing to the perception of separation is startling in its relation to Hinduism and Buddhism. The idea that salvific answers lie within through a mystical, personal experience of the divine to reach nirvana or enlightenment is another crucial thread that ties Gnosticism to Eastern spirituality. So too was the implicit and sometimes explicitly stated belief that the soul reincarnates until it overcomes the bonds and illusions of matter. Gnosticism was the nexus that bound these Eastern esoteric traditions together in Western Christian mysticism. But it was also the link to our own Western pagan mystery schools. St. Paul said in relating pagan Greek oracles to Christianity: “Take also the Hellenic books, read the Sibyl, how it is shown that God is one, and how the future is indicated.” (Clement—Stromata, Book VI, chap. VII). So, why are we in the West nearly ignorant of this insightful wisdom tradition? The answer lies in the fall of the Gnostics. As mentioned above, Gnosticism was so pervasive in the early Church that a major Gnostic figure, Valentinus, came within a hair’s breath of being elected pope in the second century. But Gnosticism became the target of the second major current of early Christianity: Orthodoxy. It’s not difficult to see how these two currents developed and diverged. Human life is replete with instances of people having entirely different perceptions of the same events. Early Christianity prior to the fourth century had no set doctrines. There was no catholic Church (catholic in the sense of universal belief). Christian communities existed from Spain to India, each with its own oral traditions, gospels, and nuances of belief. Out of these communities, two main currents began to distill and diverge: Gnosticism and Orthodoxy. We can generally say that they represented the mystical and literal views of the Christian story respectively. They reflected the modern dividing line between spirituality and religion. Gnostics believed that an oral tradition of initiation into higher spiritual awareness was transmitted by the Christ. The outer Church was a stepping stone for the masses who were too burdened, not inclined, or too ill educated to delve into the deeper spirituality of the Christian message. Gnostics held that the kingdom of God was within and that salvation could be attained while alive through meditation, incantation, cultivation of intuition, and other means that would allow an altered state wherein they could experience a subjective, personal presence of the divine. Thus, salvation to a Gnostic came through knowledge rather than faith, and the resurrection symbolized the raising of awareness (or remembrance) of one’s real being. Orthodoxy took a more literal, materialist view of things. Resurrection was bodily resurrection. Salvation was by faith because they had no understanding or direct experience of divine altered states. To the orthodox, the historical Jesus was important. To the Gnostics, the spiritual message of Jesus took precedence over his physical being. The orthodox relinquished their spiritual lives to a hierarchical priesthood that came to jealously guard their privileges as the gatekeepers to heaven. Gnostics knew the way was inside themselves and saw the lack of need for such a hierarchy as a sign of spiritual maturity. It’s not hard to see how orthodoxy won out. Think about our lives today. People are preoccupied with survival—school, trying to make a living, supporting a family. We toil for a living as the Bible says. Back then it was even more a question of survival and subsistence. Our nemesis is the fixation on material pursuits as a means of basic survival. Things of the spirit take time, concentration, and effort, but we are distracted. And growing means changes that might upset the apple cart of our tightly structured lives and relationships. It’s always been far easier to go to Church, accept their teachings, and let them absolve us. Little pain, the illusion of gain. While Gnostics saw the orthodox or outer Church as a preparatory step for higher awareness, one can readily see how the orthodox viewed them as a threat to their power and the ideology (or theology, if you like) on which that power was based. The very definition of the word orthodox means “right thinking,” so the next step of labeling Gnostics as deviant thinkers or heretics was just around the bend. And human beings can find all kinds of motives to get rid of troublesome elements in society who don’t believe as they do. First, the Gnostics were expelled from the churches and participation in the sacraments, so they formed their own churches. That was still a competitive threat to the orthodox, who were eventually conscripted by the Roman emperor Constantine to codify Church belief and dogma. From that time forward, Gnosticism and other “heretical” beliefs were open game. They would be expelled, killed, and their books were banned and burned. But when the Church destroyed the Gnostics, it wasn’t as if it cut out a foreign cancer; it cut out its very heart and soul. Gnostic spirituality was so intertwined with the early Christian experience that many of the orthodox Church fathers were gnostically influenced and elements of Gnosticism survived in the New Testament. Gnosticism wasn’t so much annihilated as it was severely damaged and driven underground only to crop up in new forms as we shall see in the next section. Rosicrucians, Alchemy, elements of Freemasory, even aspects of Mormon theology all have Gnostic origins or traits. The tarot was replete with Gnostic symbology hidden in the cards so as not to be detected by the Medieval Church. Perhaps the most notable and tragic of the Gnostic remnants were the Cathars of southern France. The Cathars thrived from the eleventh to the thirteenth centuries in the Languedoc region of France as well as parts of northern Italy and southern Germany. Historians speculate that the Catharist roots came to France from Armenia and Thrace in eastern Greece via the Eastern Roman (Byzantine) Empire. Folk traditions link this Gnostic offshoot to Mary Magdalene, a revered Gnostic figure, who was supposed to have lived in southern France for some time after the crucifixion. 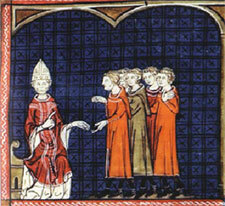 The Cathars stood in opposition to the Church of Rome, which they held to be corrupt. They believed that the Roman Church had distorted the true message of Christ. They called themselves the Church of Amor (the Church of Love), which is Roma spelled backward. The Cathars practiced love, healing, vegetarianism, and sexual abstinence. Women played prominent roles as Church leaders. Cathars believed the world was the creation of the lesser god mentioned above. For many of them, the world of matter was a prison for the soul. Their goal was either to transcend the physical or to spiritualize the world of matter. Killing of anything was abhorrent to the Cathars. Unfortunately, this sentiment was not shared by the Catholic Church or the King of France. The king coveted Cathar wealth, for many noble families from the Languedoc were Cathars. The partnership of king and pope resulted in the only Crusade conducted in Western Europe against other Christians. It became known as the Albigensian Crusade. The result was the slaughter, burning, and eradication of the Cathars and their Church by the fourteenth century. The Cathars were the last large-scale Gnostic Church in the West. After their destruction, Gnostic wisdom lay hidden in the tales of the traveling troubadours, alchemists, the tarot, and scattered mystical orders such as the Rosicrucians. Over the centuries, few Gnostic works survived from the ancient book burnings, and any knowledge about the Gnostics had to be gleaned from the writings of their enemies, particularly the Greek bishop of Lyons, France, Irenaeus, in his book, Against Heresies. The light on classic Gnosticism from the mouths of its ancient adherents was all but extinguished until 1945, the year of the first atomic bomb (coincidence?). That year, some Arab peasants looking for fertilizer stumbled across a large earthenware jar in a cave near Nag Hammadi, Egypt. 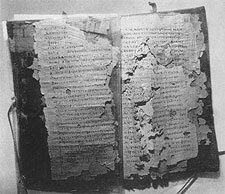 Inside the jar were twelve leather-bound papyrus codices written in Coptic that might well change the spiritual face of the Western world. These codices came to be known as the Gnostic gospels. They included such works as the Gospel of Mary Magdalene, the Gospel of Thomas, the Gospel of Philip, and the Secret Book of John. In the pages of these gospels, the classic Gnostic visionaries present a radically different view of Genesis, salvation, the crucifixion, the meaning of the sacraments, and the nature of God. Speculation is that the gospels were hidden by monks from the nearby monastery of St. Pachomius when St. Athanasius wrote a Festal letter condemning the mixing of canonical and heretical or apocryphal works. The information in this body of writings has reopened the mouths of the classic Gnostic masters. The Gnostic gospels have shed light on a phenomenon buried beneath the surface of the Western mind. We can now clearly discern later Gnostic offshoots including recent developments such as the current spiritual and New Age movements. Though driven underground, Gnosticism refused to die because it tapped deep into the human psyche and soul. It used and explained primal human archetypes (see the information on Jung below). The Nag Hammadi find puts us much closer to the root source of this perennial spirituality. For those who want to go to the direct source materials, you may access the Nag Hammadi Library through the link provided herein. We do caution readers, however: the original source material is a difficult read unless you know Greek and have a background of ancient religious and philosophical concepts. You would be better served by first reading the works of scholars such as Elaine Pagels and Stephan Hoeller as a primer. One should read the Gnostic texts with an appreciation for the role of myth. A mature reading with critical judgment and discernment is also required. This prevents erring too far on the literal side of the myths by understanding the symbology in the texts. An awareness of the historical context of related philosophies and spiritual thought will also be a great help. In this manner one will derive the greatest understanding and appreciation of the Gnostic tradition as a window not only for viewing ancient Christianity, but for reestablishing the West’s connection to other great spiritual traditions in a search for personal and collective truth. A Gallup poll in 2000 showed that 54 percent of Americans say they are religious, 30 percent spiritual, and 6 percent both. 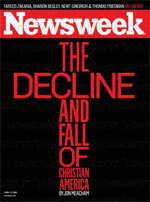 An April 2009 Newsweek poll showed that 48 percent consider themselves religious and spiritual while 30 percent describe themselves as only spiritual. This does not mean, as some would like to believe, that Americans are embracing secularism or agnosticism. Religion and Christianity are not dying; they are transforming. Take the polls for what they are, but it seems clear Americans are increasingly delineating between religion and the desire for a less dogmatic, more personal, subjective experience of God that they call spirituality. In this desire, you can be sure that they will cross paths with Gnosticism, the banished grandfather of Christian mysticism in the West, and its Jewish counterpart, the Kabbalah. The good news is that Christianity, Judaism, and Islam all have the tools and mystical traditions to minister to their people in a meaningful way, even if those traditions must be rediscovered. If you want to see Gnosticism in action through the eyes of people trying to answer life’s hard questions and coping with the pitfalls of existence, The First Souls Trilogy will be a good introduction to an alternative spiritual tradition with a lineage stretching far back into the mists of time. You don’t have to be a Gnostic or even believe what they believed. Personal experience with spirit is what it is for each person, no rules or dogmas, and you have a world of eye-opening and fascinating possibilities waiting for you.